Embattled former Special Assistant to the President on Niger Delta and Coordinator of Amnesty Programme, Brig. Gen. Paul Boroh (retd) has reacted to reports of $9 million cash being found at his residence. The former presidential aide dismissed the reports as untrue. Reports emerged on Wednesday that the operatives of the Economic and Financial Crimes Commission, EFCC, and Office of the National Security Adviser, ONSA, discovered $9 million cash at his residence. 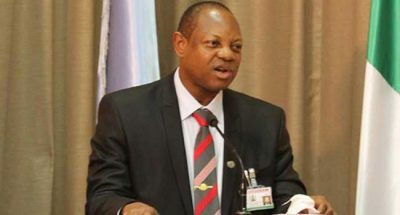 Addressing the press on Wednesday, the Wife of the former Amnesty boss, Ibinye Boroh said that no cash was found in their house, and described the allegation as fabrication of lies, false, malicious and calculated attempt to mislead the public. She said, ‘‘My attention has been drawn to the publication in some of the Nigerian media to the effect that $9million was recovered by the operatives of the EFCC from our house and premises in the course of their search.